You Can Learn Spanish Late in Life! 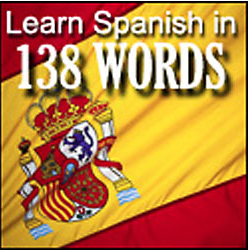 In just 12 minutes and 36 seconds a beginner can use this simple three-chord pattern to speak future tense Spanish. Once upon a time I bribed a Tijuana policeman. I’m neither proud nor ashamed of the mordida (bribe). But that was just one of the run-ins I’ve had with Mexican police over the years.